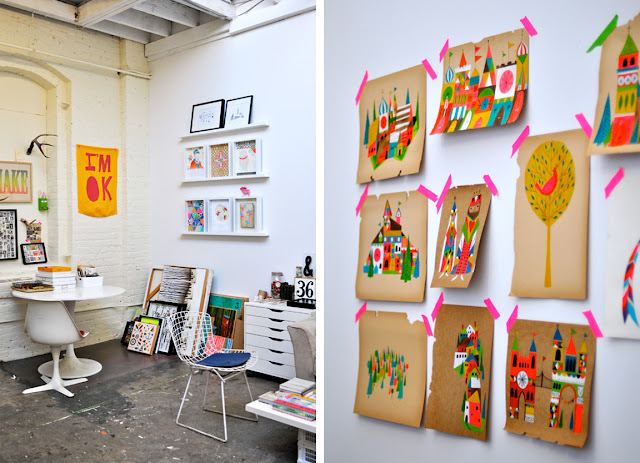 I've been saving these images of awesome artist Lisa Congdon's inspiring studio since I saw the tour of her redecorated studio on SFGirlByBay. I really adore Lisa and her work (and her awesome catherineholm collection). 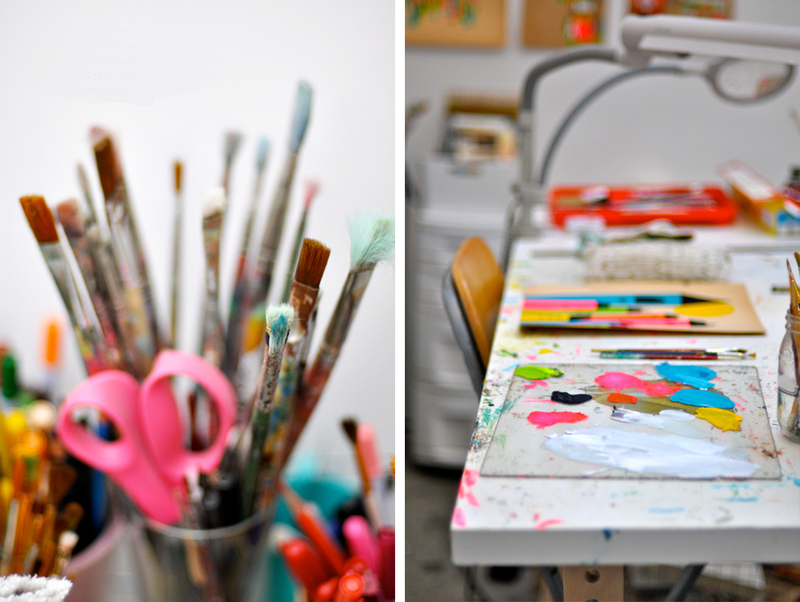 Lisa's studio is almost as inspiring as she is! Who wouldn't be happy in this studio every day? 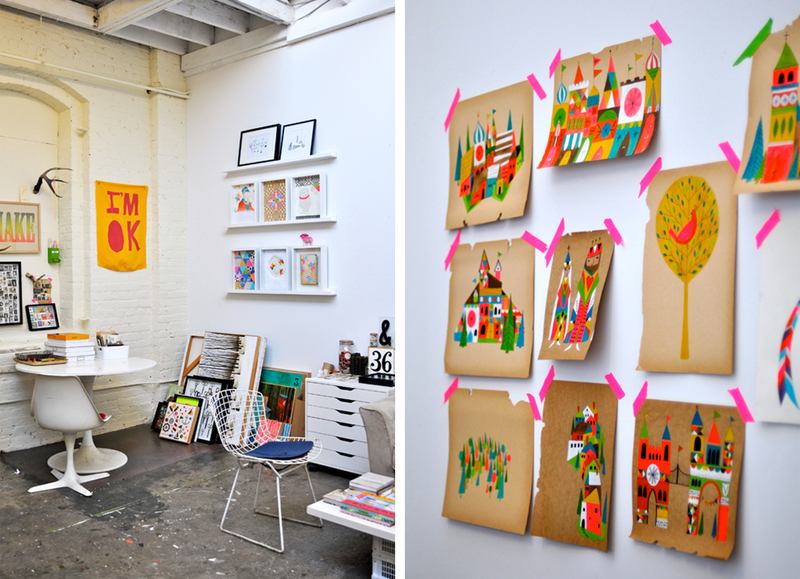 Such a great space, love the bright colors she uses. Very inspiring, thanks for this post!